Water damage is part of life, even if you live in a desert. The appliances we rely on for daily chores break down and flood rooms, no matter how old or new they are. Even minor water damage poses a tremendous risk to your home and your health. Here are the facts about appliances and water damage. People don’t make appliances like they used to. Today, washing machines, dishwashers, refrigerators, and other devices feature more plastic and less metal than they did ten or twenty years ago. Surprisingly, appliances purchased in the eighties often work as well or better than replacements bought four or five years ago. However, new and old machines eventually break down, usually when it’s most inconvenient. A consequence of continuing to use an old appliance is the ever-growing risk that you will come into the room and find a lake. There’s certainly nothing wrong with being thrifty, of course. Repairing a reliable machine may be better than searching for a new one. That said, it’s best to have a water damage specialist on call in case your washing machine tries to wash the floor of your laundry room, too. You can keep the old and reliable device with confidence that when an accident happens, you’ll be prepared to clean up the mess with the best help available. Of all the terrible accidents that can ruin your home, water damage is one of the worst. 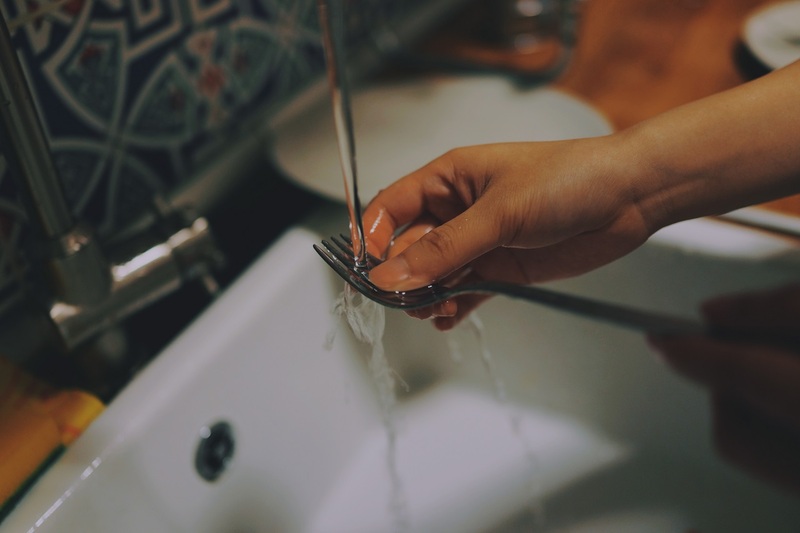 While most people keep their appliances that use water in rooms with tiled, laminated, or concrete flooring, it’s important to remember that water is very good at finding gaps and crevices. Since dishwashers usually fit against unfinished sections of a wall and often over unfinished flooring, they are especially likely to cause severe damage during even minor accidents. Just mopping up the visible pool of water won’t stop ongoing water damage. By the time you notice a leak, it has more than likely found its way beneath flooring or into walls. A single washing machine flood can lead to mold, mildew, and even rot. Many families get a surprise when they move their dishwasher in preparation for a move or renovations. Small, frequent leaks can cause the most damage. For example, a leaky dishwasher can literally cause the floor below the appliance to fall apart, especially if the flooring consists of softer materials like plywood. To prevent this kind of damage, you need professional water damage restoration services. These experts have the skills to do far more than rip out damaged elements and add new drywall. They understand how water works, where it will go, and the best way to stop the worst damage before it happens. No one wants or deserves to find a rotten, moldy floor under their appliance. Whether you prefer the latest machines or reliable classics, leaks and breaks are inevitable. To protect your home, keep the number of your local water damage restoration expert on hand. "That's really amazing how fast you get to my house. I am really grateful for all your help!"